Fatty acids are vital for all systems of the body to function the normal way; it comprises your brain, respiratory system, circulatory system, skin, and organs. There are two fatty acids, known as essential fatty acids (EFA) that your body does not generate on its own. For that matter you need to take from EFA supplements. 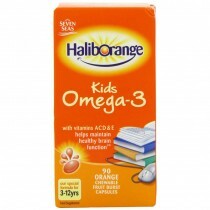 Check out our range that has Omega 3, 6, 9, three kinds of Omega compositions. These essential fatty acids are significant for immune system function, brain development, and blood pressure regulation.